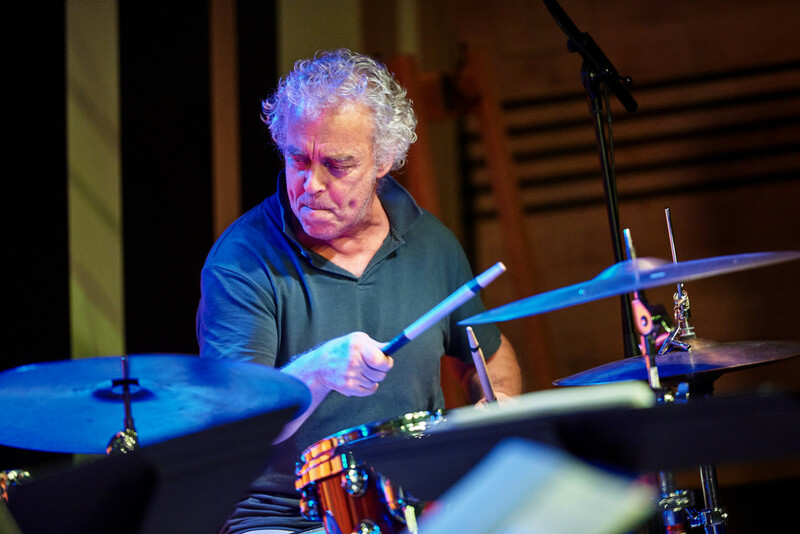 The excellent drummer, István Baló, is one of the most active musicians of his generation on the Hungarian jazz scene. For years or even decades he has been member of the Dresch Quartet, the trios Nigun and Miklós Lukács Cimbiózis – among numerous other formations. He has created his own group, István Baló Project, two years ago and soon after has founded another outfit with a very different musical world: W69 Rock. “W69 basically plays rock music, but uses the possibilities, sound effects, and technical means of all other genres if needed. The quartet, both with their music as their name referring on the legendary Woodstock Festival, consciously refer to the years when the youth of the world had a fertilizing power that brought about changes in culture, behavior, thinking, emotions, world-view, and everyday life, which transformed and questioned many of the values ​​formerly considered as accepted. The effects of the ‘69s’ are perceivable to this day; and we are just trying to find, revive and convey the ‘rebellious’ and at the same time improving intentions of its spirit: that peace, understanding and love should be between us that accepts and understands that we all are human beings, even being not the same” as István Baló puts the ars poetica of the group.